Qantas is to operate a three-times-weekly Sydney-Osaka seasonal service from mid-December, the only direct flights between Australia’s largest and Japan’s second largest cities. The flights will be operated by two-class Airbus A330s to Osaka’s Kansai International Airport between December 14 2017 and March 24 2018, Qantas announced on Thursday. “This December we celebrate 70 years of flying to Japan and we’re delighted to add another destination to the growing list of services Qantas operates between the two countries at a time when travel to Japan is booming,” Qantas International CEO Gareth Evans said in a statement. The flights will be operated largely by 297-seat A330-300s but with some Monday flights operated by 271-seat A330-200s according to operational requirements, a Qantas spokesperson confirmed to Australian Aviation via email. Qantas last flew to Osaka in 2006-07 when it operated Cairns-Kansai services with Boeing 767-300ERs, having taking on the route from its short-lived Australian Airlines long-haul low-cost carrier subsidiary and before subsequently transferring the route to Jetstar operating A330-200s. 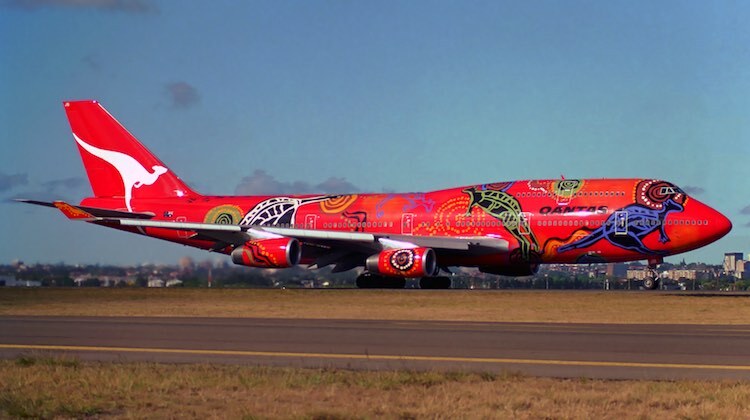 Qantas also flew to Osaka Kansai in the mid-1990s operating Boeing 747s on a Sydney-Kansai-Brisbane-Sydney rotation (the inaugural flight flew into Kansai on the airport’s opening day of September 4 1994, and was operated by the Wunala Dreaming–painted 747-400, VH-OJB). Qantas then switched to a Cairns-Kansai schedule (with 767-300ERs) and also briefly operated Melbourne-Kansai flights (again with 767-300ERs). Ansett Australia also operated Sydney-Kansai-Brisbane flights between 1994 and its collapse in September 2001, using 747-300s and 747-400s. And Air New Zealand operated seasonal three-times-weekly Auckland-Kansai flights between November 2016 and March 2017 with Boeing 787-9s (and not 767s as planned when it announced the route in March 2016). Today Jetstar continues to operate Cairns-Kansai flights (with 335-seat Boeing 787-8s). Jetstar Japan, in which the Qantas Group owns a one-third stake, also operates domestic Japanese services from Kansai. 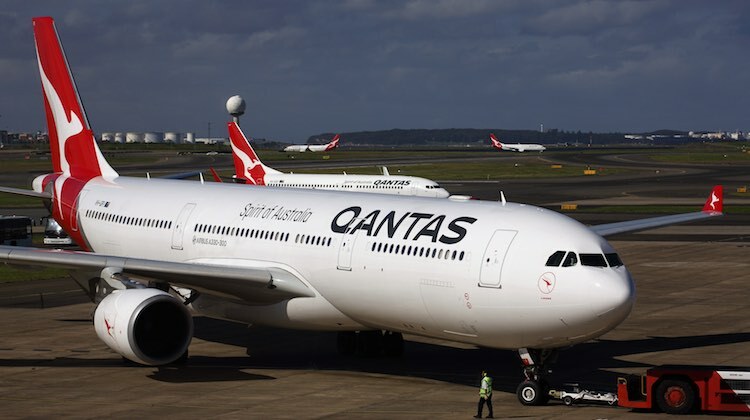 Qantas says the new Sydney-Kansai flights will offer “good onward travel opportunitiess at both ends” connecting with domestic Australian and trans-Tasman flights in Sydney and Jetstar Japan domestic Japanese flights in Kansai. What else would you expect? Its Qantas we are talking about here. Can the refurbished 332’s be operated on sectors greater than 8hrs. No galley space and 1 business class toilet? Look forward to seeing it as a year round service. Maybe it could be looked at when Qantas have say a dozen or two 787’s. Would love to see this as an all year round service – Osaka gives easy access to Kyoto and all that Kansai and surrounding areas have to offer – seems a shame that travellers wanting to see cherry blossoms and autumn leaves won’t have access to it. Is there any chance it will be continued? I would also like to see a Melbourne Osaka service (linking the two foodie cities) but Sydney is a good start. What are you on about? Jetstar fly MEL-HNL and no one flys CBR-AKL! All I really have to say, is I’m surprised theirs no flights by any Aus based airlines to Seoul, it’s like Tokyo’s twin sister. Just seems strange. It’s about time as Osaka is the food Capital of Japan, offers direct access via train in about 1hr to Kyoto from Kansai airport. Osaka offers hot springs nearby, universal studios & a great aquarium but such a shame they aren’t continuing flights into April to allow Easter travellers and More of Cherry blossom season. Adam they probably need the 330 in April to ferry all the Aussies around here over Easter. @Oskar Jetstar are stopping the MEL-HNL route to redeploy the aircraft to more profitable routes. Craig, no news of the Melbourne Honolulu route stopping, where did you get that news? It’s almost like Sydney is Australia’s most well known, largest and business friendly city. @Tom I am sure I read that somewhere. Looking to see if I can find the reference.